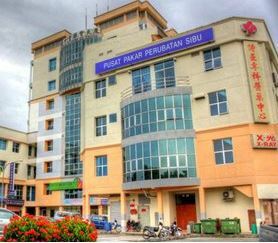 Sibu Specialist Medical Centre is a private medical facility located in the heart of Sibu. The 21st Network Hospital under the flagship of KPJ Healthcare Berhad is ready to serve you better. Sibu Specialist is among the "Preferred Healthcare Providers" in the state of Sarawak and aims to deliver quality healthcare services to cater to our customers' needs, comfort and convenience. Notes: All rates quoted are subject to revision from time to time by Sibu Specialist Medical Centre. 8:30AM to 5:00PM, Monday through Sunday. The best service so good. My second operation done here very excellent.